Thinking of refinancing but self-employed and can’t prove income? That’s my specialty! Contact us and let us help you on your way! A mortgage pre-approval can be processed and returned to you the same day the application was taken. Ask us how. Your privacy is secured with us. Apply online and rest assured that all information would be treated with confidentiality. Apply now! 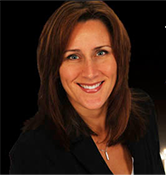 In 2006 to Dec 2010 Linda held a Real Estate license enabling her to gather the experience needed to make sure your deal is dealt with efficiently from beginning to end. This experience will help assist in making your transaction stress-free.